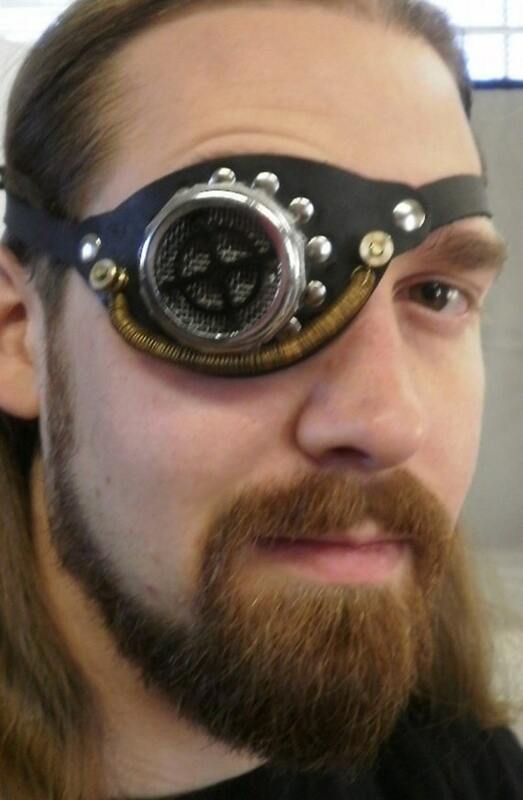 The eyepatch is also see-through! Never sacrifice your depth perception for the sake of appearances again! When ordering, please be sure to include for which eye you'd like this made! Models are Daven and Mark from Ghostfire. Because a number of the manufacturing processes rely on manual skills, each piece has its own individuality and slight variations in color may occur. None of these, however, alter the overall quality or performance of the product. Due to extreme demand, some orders may take up to 8-12 weeks to ship. If this will not suit your deadline, please ASK us if it can be done before placing your order. We will be as accommodating as we possibly can. Remember, we are MAKING all of these products by hand, here in Pennsylvania. Thank you very much. Once I received the correct one I loved it! Looks just like the picture and is made with solid materials. I gave 4 stars because communication could've been better, and receiving the wrong item after a bit of a wait, which cost me shipping to return, was a little frustrating. However, they did communicate better and got it taken care of in the end so would still totally recommend this shop.